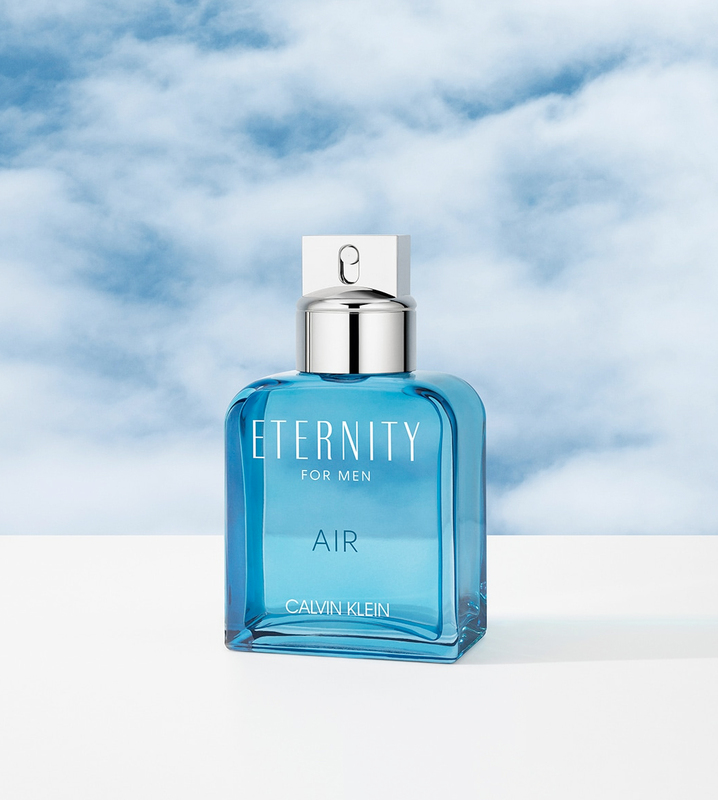 Eternity Air For Men: Flying Through The Sky! 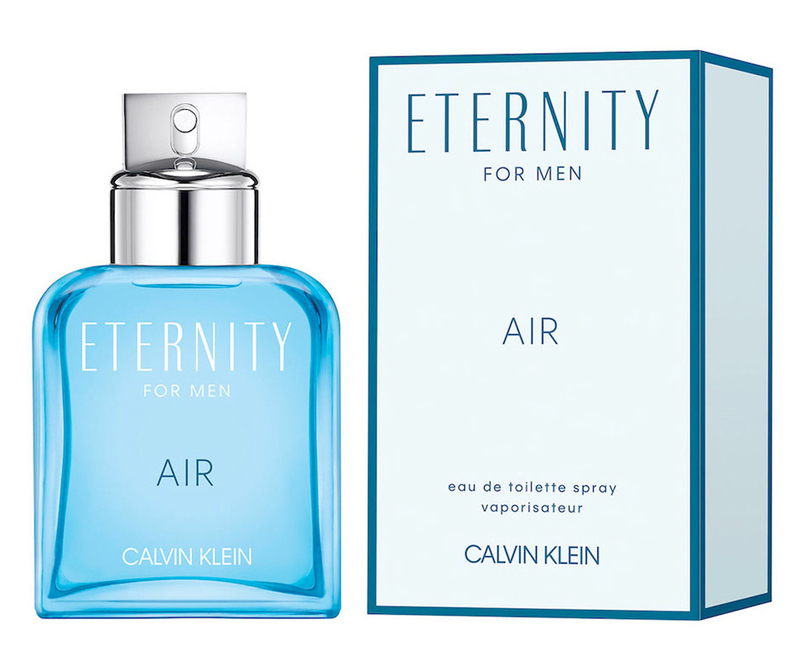 As soon as I found out that the newest flanker of my favorite fragrance of the 90s, Eternity For Men, was coming out in its new "air" version – Eternity Air for Men – I immediately wrote the name in my Moleskin notebook in the "to try" column. The first look at the package brought a mixed feeling of nostalgia for Soviet double-imaged calendars and bitterness at how cheap it looks today. On the advertising sleeve, two images follow each other depending on the angle of view: a blue fragrance bottle on a silvery-gray background of cumulus clouds and blue sky. 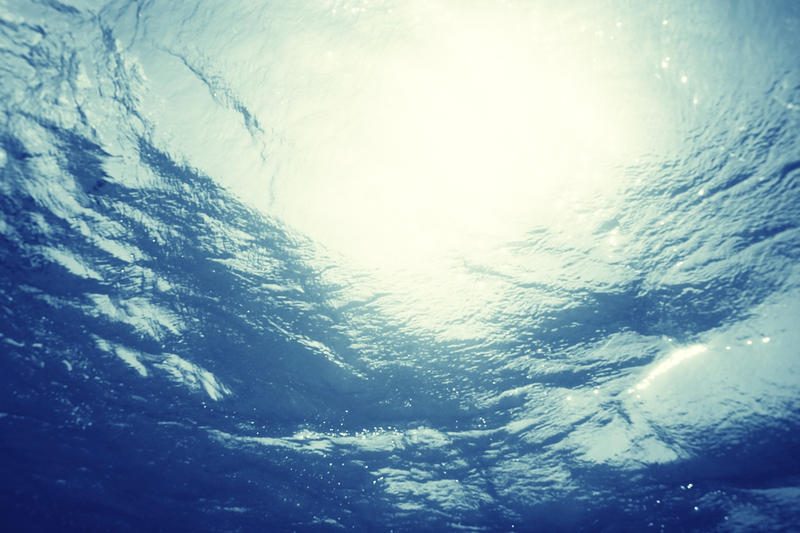 The bottle seems darker than its image – you need a bright light to make it sky-blue. 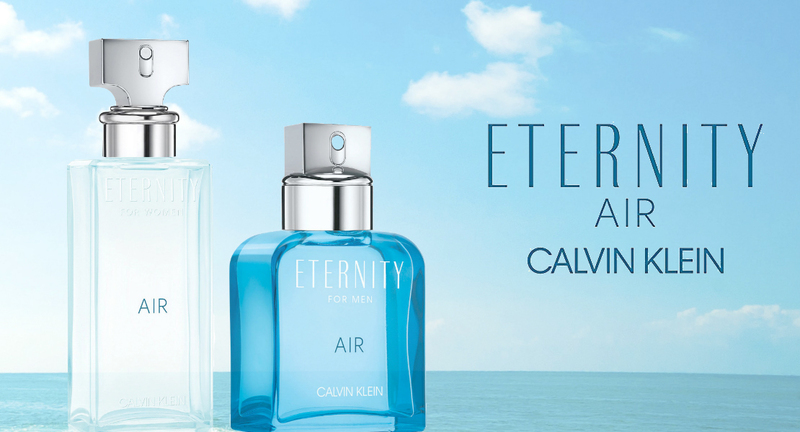 "The masculine fragrance Eternity Air For Men brings an aromatic-salty composition. In addition to the specific airiness, the blend includes the aromatic effect of lavender and green apple, playing with sparkles and calming waves as a contrast. The earthy patchouli, united with seaweed and juniper berries, transmits a sense of the power of nature and tranquility is offered by a herbal-marine blend." – brand info. Air starts with a sweet juicy apple with the transparent freshness of gin and tangerine (more juice than zest); this fresh sweet beginning reminds me of dozens of other refreshing "just fresh from the shower" sporty men's fougeres. A little later they are joined by lavender and violet leaves, the fragrance becomes greener, more interesting and slightly sharper. Not very original, but nice and easy to like. 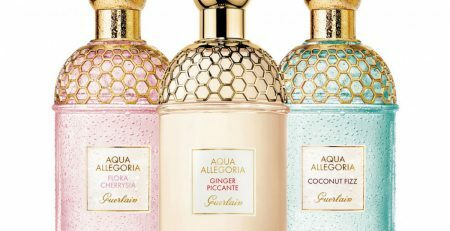 The most pleasant part in the aroma is the aquatic and "sky of the sky" accords, which should represent the special freshness of the sea wind, the splashes of the surf, the reflection of the sky in the water. This cloudy freshness, sweet as a blade of grass in a mouth or mown grass, along with the sensation of the sea, shows how dramatically the original concept of Eternity For Men has changed over the years. The original was more serious and gray, like a manager's suit, lavender and tangerine aldehyde, along with lilial and helional, could overcome the almost perpetual sour-wood trail of gray amber, vetiver and sandalwood literally for a few minutes. If it was an "eternal love fragrance", then this should be provided with philosophical reasoning about the nature of love, the classification of different love feelings and the indispensable responsibility for your love. "It's about love, about being a person. Love isn't always a sweeping melodrama. There's a deep simplicity to it. It's lying on a couch, reading something to a child, getting a hug," says Jake Gyllenhaal of the new fragrance campaign. Eternity Air For Men accelerates with a smile and flies to the clouds directly from the shower, after which cheerfully enjoys an hour or two over the seacoast, where the wind smells of algae and salted woods. Where will it land? On the beach? In the steppe? In the jungle? In a desert? A gray and salty drydown, created mostly by synthetic material on a theme of gray amber, hints at the beach. The smell seems simple and uncomplicated, but it is pleasant, familiar, harmonious and relevant in the summer (most of the flankers of Eternity For Men before the launch of Air use the Summer title). If there is some sort of love in the fragrance, then it's carefree and flighty. My colleague John Biebel introduced the fragrance "Homage to Hemingway" as a kind of sea salted rope from vetiver roots – continuing this metaphor, Air seems to be something of a thin, light and very strong line that the surfer controls a kite with to catch the wind . 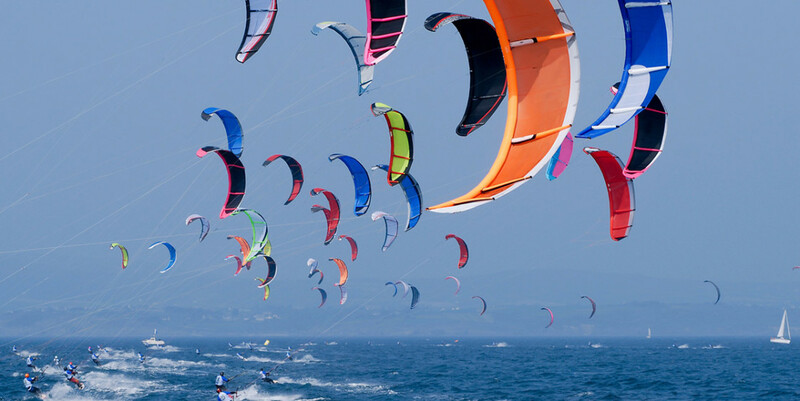 Windsurfers in general seem to be the best candidates for the advertising image of this fragrance – they are sporty, like the fragrance itself, they are attractive, and they know how to get along with the wind, using this perpetual motion of the air volumes for their immediate benefit and entertainment. If the fragrance itself is breezy and airy, then its users should be like that as well – today they love the fragrance and carry it with them in a sports bag, and a week later they forgot the bottle in the bathroom. Base notes: Seaweed, Patchouli, Ambergris. Sergey Borisov has been involved in perfumery since the early 90`s when he had his own perfume-devoted program “Close to Body” on Krasnoyarsk radio (1993). As a perfume enthusiast (known as moon_fish), he became famous in Russia for his translation of Luca Turin's Perfume: Le Guide. He made a career as a fragrance journalist and contributed to distinguished magazines such as GQ, Vogue, Elle, Cosmopolitan, Interview, Forbes, Allure, Robb Report, Flacon, Departure, RBC-Style, TSUM-Magazine (2008-2016). His own online columns for RBC-Style.ru, Vogue.ru, and GQ.ru (2006-2015) have earned him international recognition and an invitation to be an editor for the Russian edition of “The Little Book of Perfumes” by Luca Turin & Tania Sanchez. Sergey Borisov was invited as a speaker at Esxence 2012 (Milano) and Intercharm 2015 (Moscow). 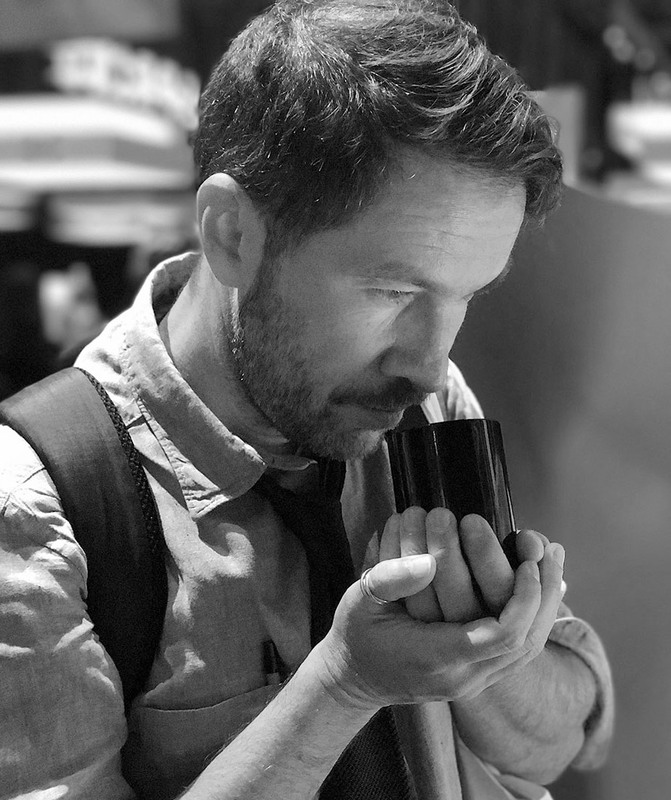 In 2013, Sergey joined the Fragrantica team.